A frames are an excellent street marketing tool, that can draw attention to your products or service outside the boundaries of your shop. Or as a short term promo or sale display. A frames or T frames are available in many different styles and sizes and are usually far more cost effective than most people think. 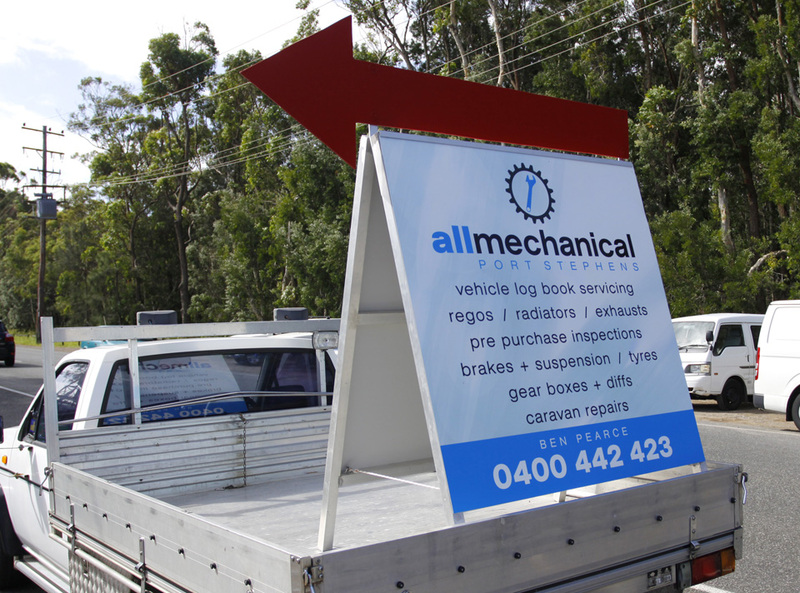 Call Signs at the Bay today on 0437 446 243 for a customised quote for your a-frame signs. Your local professional Sign Writer.